Ukyo Katayama signed and dedicated Racing Gloves. A great pair of original Ukyo Katayama racing gloves, each with a little "advice" from Ukyo-san. The left glove shows the text "To Mr. ''B", Drive Safely." The righ glove shows the text "Right hand is the best" (for playing with women...). 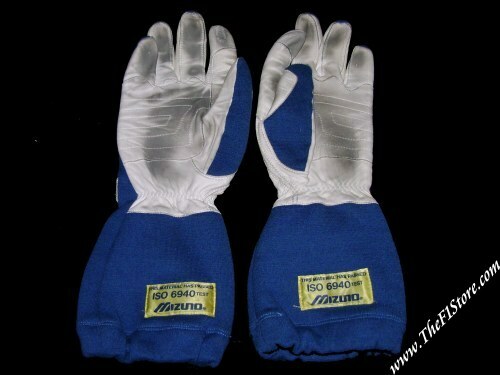 The brand of these gloves is Izuno and the adjustment straps are embroidered with "Katayama". They are a very small size and are race worn. This pair dates from 1993 when Ukyo drove the Tyrrell Yamaha.